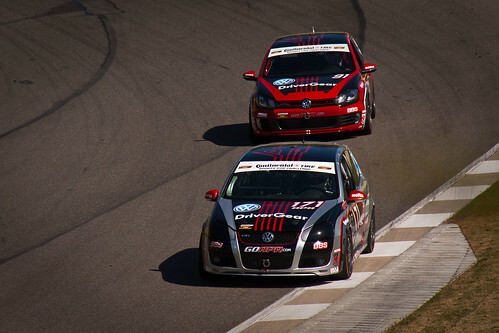 After two straight top ten finishes, the APR Motorsport VW DriverGear team moved on to the beautiful Virginia International Raceway for the 4th race of the season in an attempt to keep the streak going. 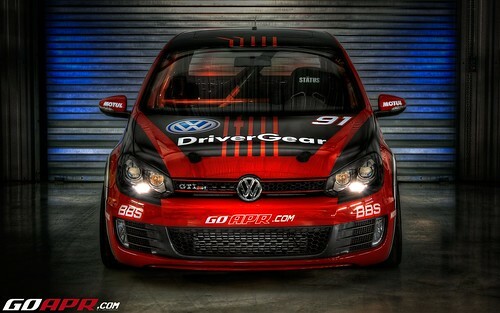 Here at VIR, there was to be added motivation, as it is the home track for Volkswagen of America. After three rounds in the 2010 Grand-Am Continental Tire Sports Car Challenge, Kevin Stadtlander, driver of the APR Motorsport VW DriverGear #181 GTI, is 2nd in the rookie points standings. The next stop on the schedule is this coming weekend (April 22-24th) at beautiful Virginia International Raceway, where Kevin hopes to improve his overall ST class driver standing (currently 5th), as well as climb the step toward the top rookie position. 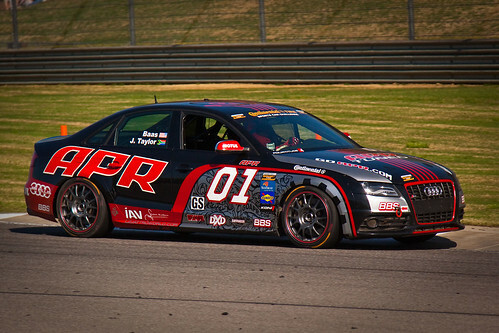 After bringing home its second consecutive Street Tuner top 10 finish, APR Motorsport moves onto picturesque Virginia International Raceway on a quest for their first podium of the season. 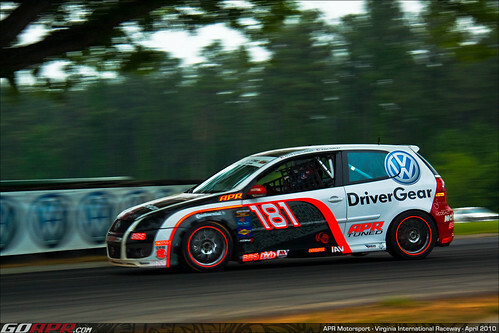 The potential for success at VIR is high as Mike Sweeney, driver of the 171 APR Motorsport VW DriverGear GTi, proved at Barber by running in the top 3 throughout his stint. 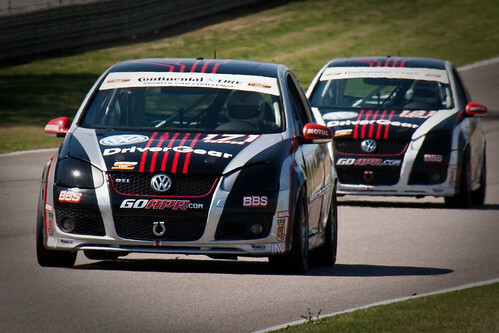 With huge support from the hometown crowd and hundreds of guests in the APR Motorsport/VW DriverGear paddock, the race at Barber Motorsports Park was sure to bring excitement for the Street Tuner class VW’s of APR Motorsport. Extra excitement was added by the debut of the world’s first MKVI GTI race car, piloted by Australian star Tom Drewer and APR President Stephen Hooks. All eyes were on APR this Saturday while the MKVs would retain their lineups from Homestead and return to Barber after 2009’s win by Josh Hurley in the same race. 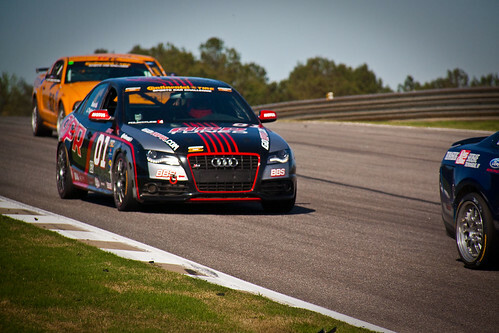 Behind the Wheel with Jordan Taylor in the APR Motorsport Audi B8 S4 at Barber Motorsport Park! APR Motorsport presents Australian racing star Tom Drewer and the return of Stephen Hooks to Grand Am to drive in the historic international racing debut of the VW DriverGear MK6 Volkswagen GTi. Drewer and Hooks will drive in Round 3 of the Continental Tire Sports Car Challenge, a 2 hour 30 minute endurance race, at Barber Motorsports Park, Alabama (April 8-10). DAYTONA BEACH, Fla. (April 2, 2010) – Jordan Taylor will do double duty at Barber Motorsports Park on April 10. APR Motorsport announced today that the 18-year-old driver from Apopka, Fla., will co-drive the team’s No. 01 Audi S4 with Ian Baas in the Grand Sport division of the GRAND-AM Continental Tire Sports Car Challenge.